Costas is a very well known figure in Palmers Green, having run several businesses and often chairing the Green Lane Business Association after he helped to found it in the 1990s. Costas discusses his work ethic and how important it is for him to see a thriving town centre in Palmers Green. 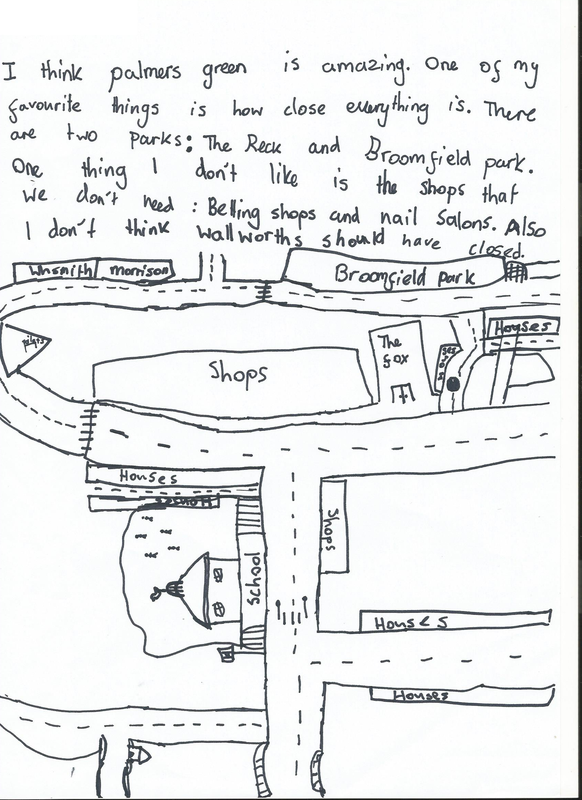 Martin Jenkins worked with children at Hazelwood School to find out about their views of Palmers Green. He found out that they really like their local area, with the Easter Egg Hunt being a big hit, but dislike the growth in number of betting shops and lack of things to do for children and young people. 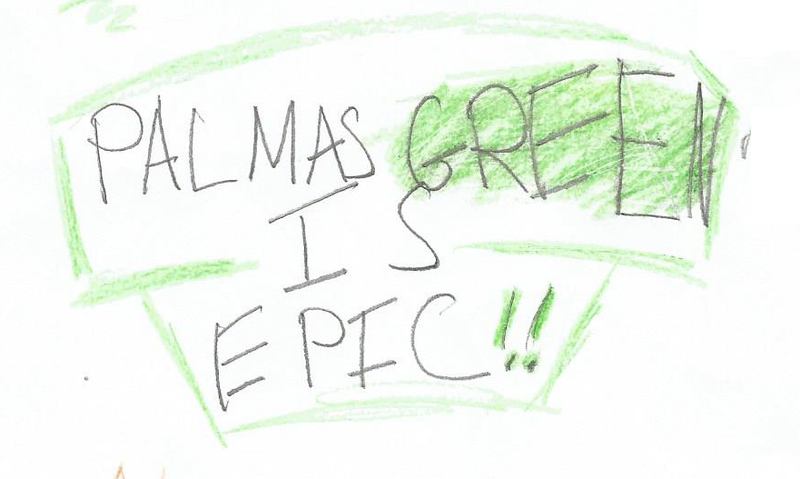 Children are a vital part of our community but it is easy to overlook their views. 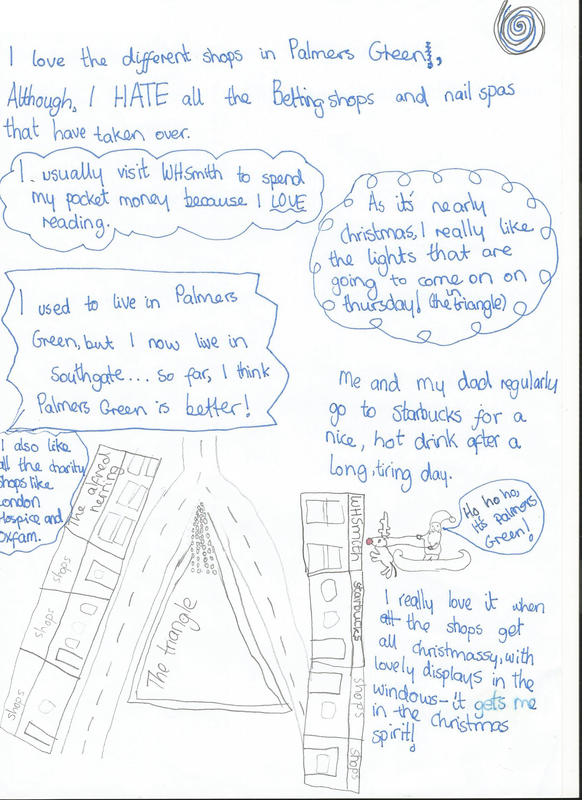 I was lucky enough to be able to talk to some of the children at Hazelwood Schools about Palmers Green and they all had strong and interesting views about the place where they live, study and play. I spoke to three small groups of Year 6 (10-11 years old) pupils at Hazelwood. At our first session I ran through a potted history of Palmers Green: the children seemed fascinated by the background to the buildings and spaces around them. Several said that they had not realised Palmers Green had grown and changed so much in the past and that it made them look at the neighbourhood through new eyes.